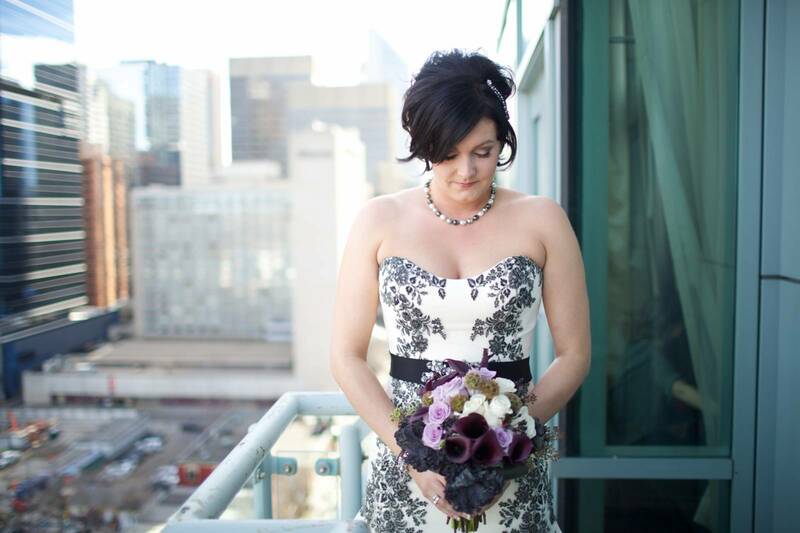 WIth the help of LFW Planner Stephanie La Grange, Sarah and Glenn planned an upscale and elegant purple and black wedding, but that doesn't mean it wasn't full of fun details. 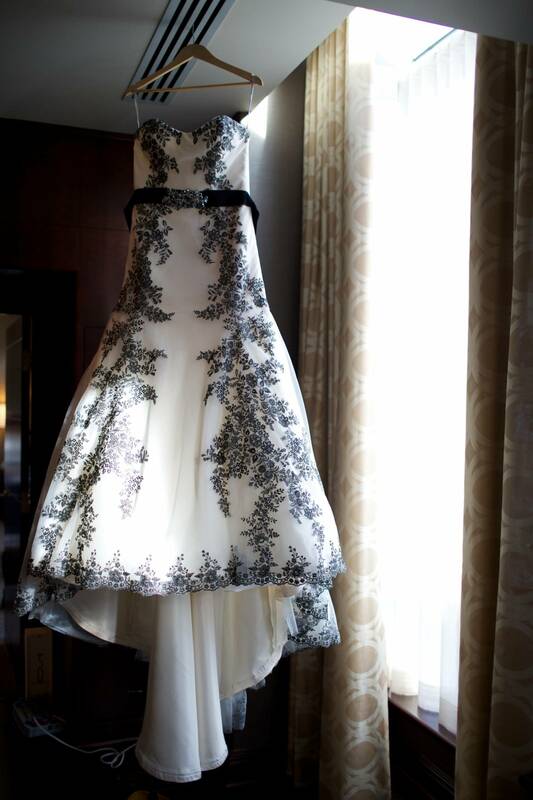 Bride Sarah wore her favourite cowboy boots under her wedding gown, which was adorned with black embroidered florals. 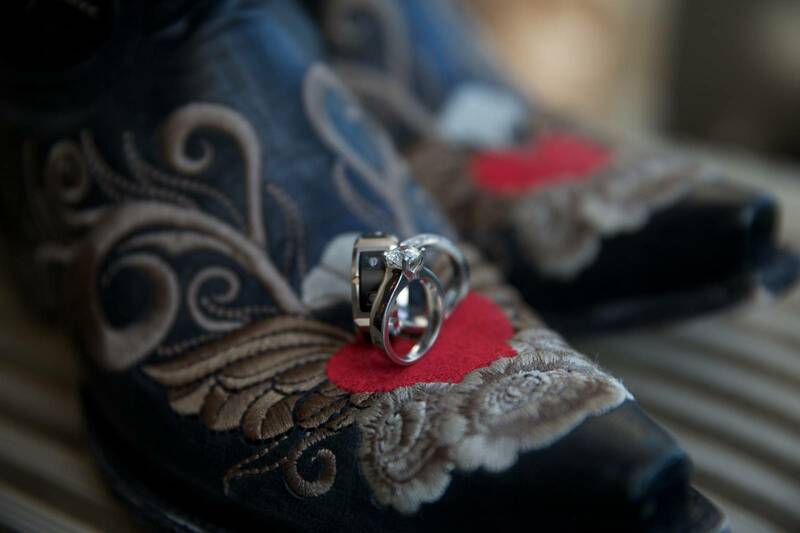 The couple embraced their love of everything county and western and together with photographer Andras Schram, had their photos taken in the shoots of the Grandstand at the Calgary Stampede before heading to their glamourous reception at The Metropolitian.